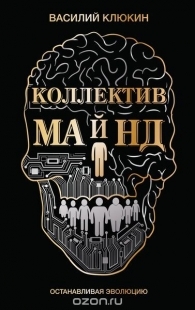 Russian designer-turned-author Vasily Klyukin decries the encroachment of Big Tech on our private lives in his new novel Collective Mind, a gripping dystopian thriller in which artificial intelligence threatens to rob mankind of its creativity. Russian designer Vasily Klyukin has envisioned the "Asian Cobra Tower." Just as its name suggests, the gold-plated tower takes the shape of a snake, offering offices and apartments in its body and a restaurant, night club and terrace in its jaws. "In Japan telling someone that he is a snake means a compliment. In China snakes and dragons often mean the same," says Klyukin. 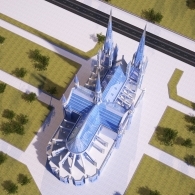 "The symbol of wisdom and eternal life, this tower would embellish any Eastern city." Flying into space with Oscar winning actor Leonardo DiCaprio, trekking Mt. Everest with Philippe Cousteau by helicopter, taking selfies with wild elephants, this is the daily life for famed Russian businessman, philanthropist and designer Vasily Klyukin. I first heard about the 39 year-old multi-millionaire after the infamous amfAR charity purchase he made two years ago, buying a $1.5 million ticket to journey on the Virgin Galactic flight into space alongside Oscar winning actor Leonardo DiCaprio. Can you imitate the inimitable? What if your own house itself could be the subject of contemporary art, which is performed in style and color scale, that exactly personalizes you? Your inner self, your dreams, your outlook on architecture. What kind of world you want to live in? From these questions the 'Dream Domain’ series of elaborate villass by Russian architect Vasily Klyukin started. CNN As if superyachts weren't audacious and expensive enough already. Sure, today's top of the range vessels may come with cinemas, swimming pools, helipads, spas, gymnasiums and supplementary submarines. But that's nothing compared to the futuristic luxury cruiser envisioned by Russian businessman and designer Vasily Klyukin. But that’s nothing compared to the futuristic luxury cruiser envisioned by Russian businessman and designer Vasily Klyukin. The Monaco 2050 is also a jet plane and a helicopter that can take-off and land like a Harrier Jump Jet or F-35 fighter plane. Ein großes Schiff mit vier Segeln und einem spitz zulaufenden Bug, davor ein Pool mit Sonnenliegen – das ist ein Luxussegler, sondern ein Gebäudeentwurf. So stellt sich der russische Architekt Vasily Klyukin „das freundlichste Krankenhaus der Welt“ vor. A number of the concept yachts were displayed on board the Admiral moored in Port Hercule on Thursday night to the widespread admiration of invited guests. Architect and millionaire Vasily Klyukin says his design is "the most pleasant hospital in the world", as the quirky concept takes away the fear of going in for treatment. The dynamic landscape of New York‘s towers extending high in the sky, now also became a typography. Creative Vasily Klyukin has shared with us the downloadable ‘skyscraper font,’ that depict building typologies and form a cityscape horizon. "My concept 'Mondrian' is 65 meters long and has 4 decks. The simple shapes and colors are actually very difficult to combine beautifully. However, this concept shows how — without changing the classical shape of the yacht — you can make your boat quite different from the others, with only the help of angles and colors." Aujourd’hui, posséder un yacht relève presque du banal. Vous êtes peut-être le premier possesseur de votre yacht mais votre voisin en aura également un. Arrêtez de vous concentrer sur la possession mais commencez à vous questionner sur la forme ! Free character font made of Skyscrapers is a gift for New Year that Vasily Klyukin has made to all the designers and enthusiasts! Futuristic characters look like skyscrapers so you can build your own city of high buildings with any word you like! CANNES May 24 (Reuters) - A trip to space with Hollywood actor Leonardo DiCaprio raised 1.2 million euros ($1.5 million) for charity at a glitzy fundraiser at the Cannes film festival on Thursday. At the 20th annual event organized by amfAR, the Foundation for AIDS Research, DiCaprio emerged as the mystery guest to accompany the winner on a Virgin Galactic flight into space. DiCaprio stars in the film "The Great Gatsby," which opened the 66th Cannes film festival. Vasily Klyukin has a dream. It starts with a vision of himself transformed—a 38-year-old Russian bank cofounder turned Monte Carlo gadabout who follows his calling to be a designer. Then he creates a dazzling array of fantastical towers that defy convention—and taste—and could forever alter the skylines of the world's great cities. Now, if only he can bring them to life. Nachdem er schon aufsehenerregende Designs für Superyachten für Superreiche entworfen hat, doppelt der russiche Millionär Vasily Klyukin nun nach und liefert seine Entwürfe für die ultimativen Villen.